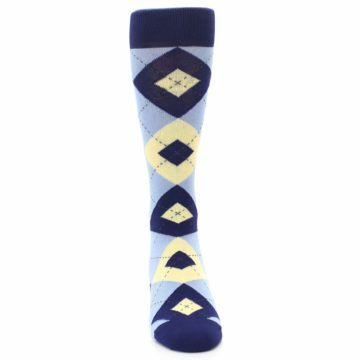 These canary yellow groomsmen socks are a great match to the canary dresses from David’s Bridal. 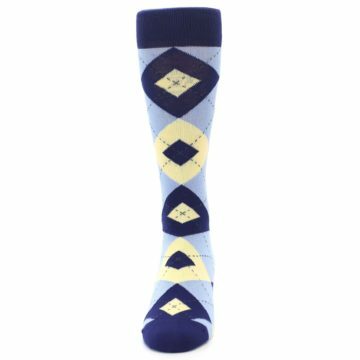 Canary is a soft, pastel yellow that creates a harmonious contrast with dark or navy wedding attire. 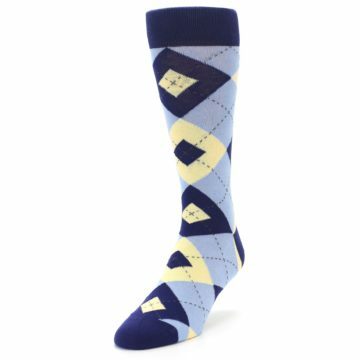 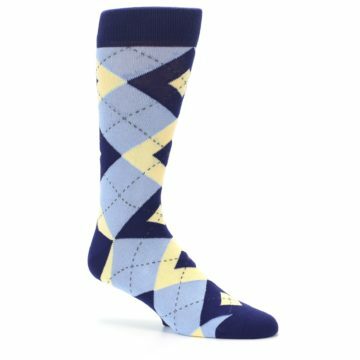 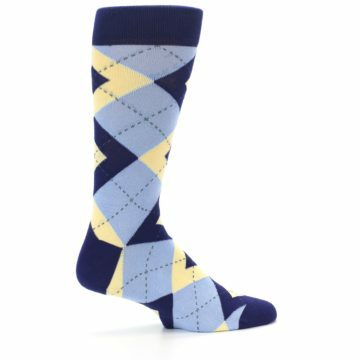 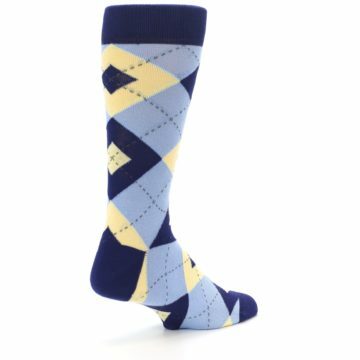 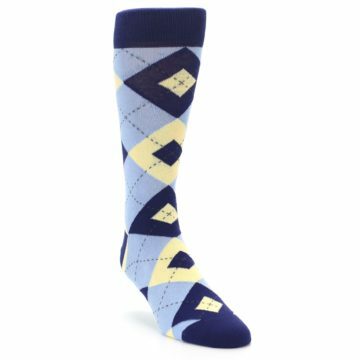 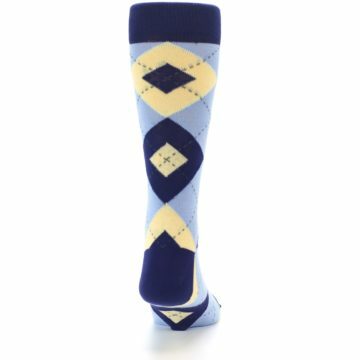 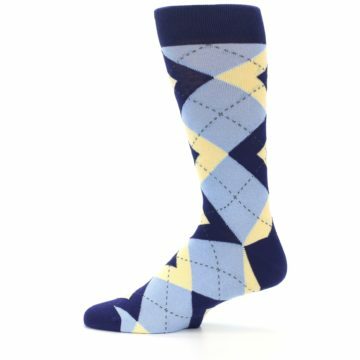 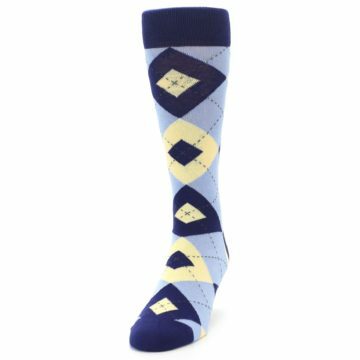 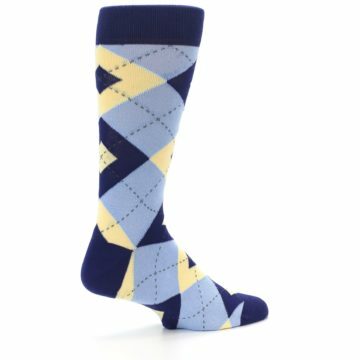 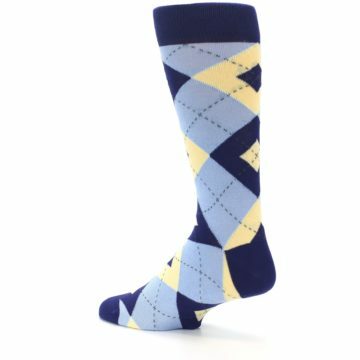 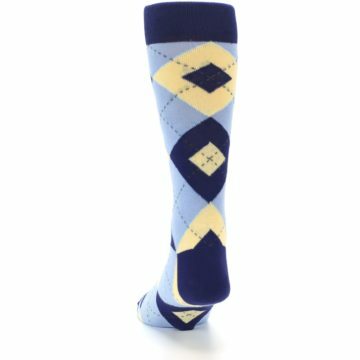 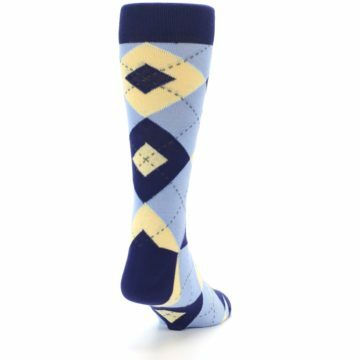 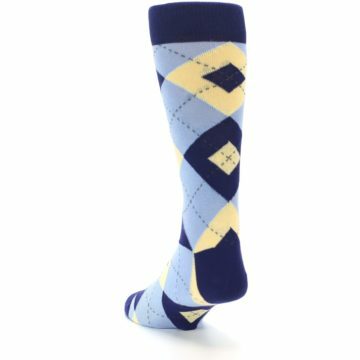 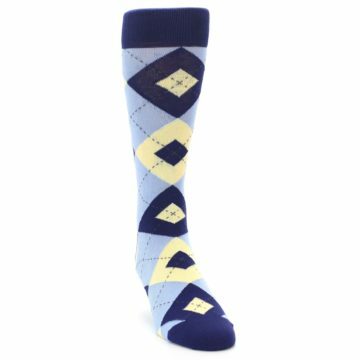 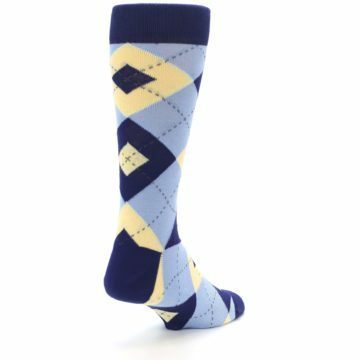 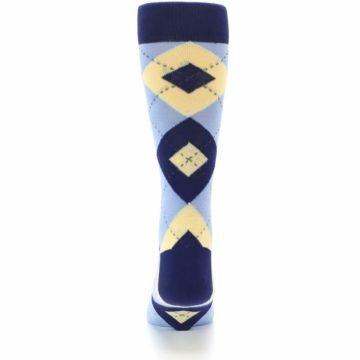 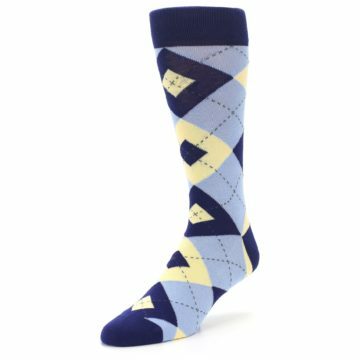 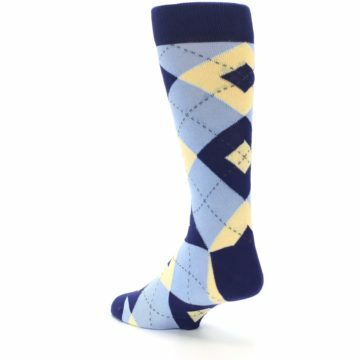 There are not yet any reviews for Light Blue Navy Canary Argyle Men’s Dress Socks.